IP44 180° detection angle 12m range. Adjustable time delay 10sec to 7min. Switching capacities 110V-130V max 800W, 220-240V max 1200W. 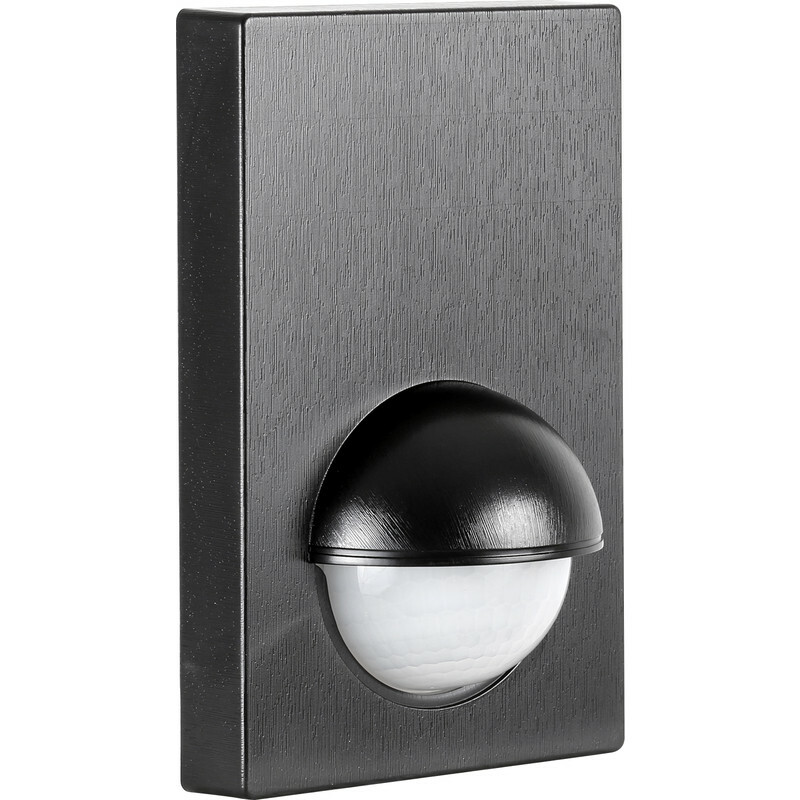 180° Wall Mount PIR Sensor Black is rated 4.2 out of 5 by 24. Rated 4 out of 5 by JT99 from Good but a bit large! I found the unit to be a bit bigger than expected, no dimensions in catalogue, but it works well. It would be good if there was an adjustment for the angles of detection. It triggers when cars pass my property and I would like it to tilt down a bit. Rated 5 out of 5 by Custard from Good value works well Good value and easily fitted to the wall and connection to the light. Works well censure picks up when approached. Rated 5 out of 5 by Bliddy2 from Discreet little motion sensor Bought this to turn a light on in the hallway save leaving a light on all the time, it works very well and is small enough not to catch your eye. Rated 5 out of 5 by BobDIYer from Great device at a very reasonable price I brought this about 5 days ago as I needed a way to switch on the hall light when we come in late. Works a treat, wiring was nice and simple and just as good as some more expensive PIRs I have put in in the past. Rated 5 out of 5 by Anonymous from Tidy little Sensor Small and discrete you hardly notice it. Would recommend.